Cristina Maria Husmark Pehrsson (born 15 April 1947) is Swedish politician and a member of the Moderate Party. She served as Minister for Social Security and as Minister for Nordic Cooperation from 2006 to 2010. She is a certified nurse and was a member of the Swedish Riksdag for Skåne County West from 1998 to 2014. The Ministry of Health and Social Affairs is the ministry in the government of Sweden responsible for policies related to social welfare: financial security, social services, medical and health care, health promotion and the rights of children and disabled people. The Ministry of Finance is a Swedish government ministry responsible for matters relating to economic policy, the central government budget, taxes, banking, security and insurance, international economic work, central, regional and local government. Landskrona is a late medieval town in Scania province, Sweden, located at the shores of Øresund, founded at the location of the former Danish fishing village Sønder Sæby in the province of Scania by king Erik VII of Pomerania early in the 15th century. 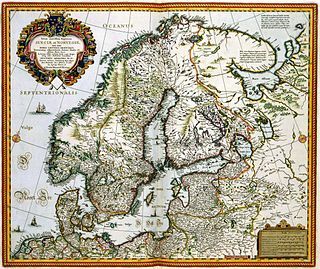 In 1720 the town, like its province, became a formal part of Sweden., which must not be confused with the 1658-1676, 1679-1711 and 1711-1720 periods. As land owned by the Swedish Monarch. Scania's status, thus the town's as well, was during those periods equal to the one of Swedish Pomerania. During the Danish 1676-1679 reconquest of large parts of her in 1658 lost territories, Landskrona Citadel constituted as mobilisation centre for formal enlistment of pro-Danish guerrilla fighters from 1678. Skåne County, sometimes referred to as Scania County in English, is the southernmost county or län, of Sweden, basically corresponding to the traditional province Skåne. It borders the counties of Halland, Kronoberg and Blekinge and connected to Capital Region, Denmark by the Oresund Bridge. The seat of residence for the Skåne Governor is the city of Malmö. The headquarters of Skåne Regional Council is the town of Kristianstad. Per Albin Hansson was a Swedish politician, chairman of the Social Democrats from 1925 and two-time Prime Minister in four governments between 1932 and 1946, governing all that period save for a short-lived crisis in the summer of 1936, which he ended by forming a coalition government with his main adversary, Axel Pehrsson-Bramstorp. During World War II, in which Sweden maintained a policy of neutrality, he presided over a government of national unity that included all major parties in the Riksdag with the exception of the Communist Party. Forging the Social Democratic grip on Swedish politics that would last throughout the century, Hansson left an astounding legacy on his party as well as creating the idea of Sweden to become "Folkhemmet", "The People's Home". This remained intact until the early 1990s, including a strict policy of neutrality, a wide-stretching welfare state through parliamentary legislation, and reformist social corporatism rather than Marxist nationalisation of the means of production. Following the war, Hansson formed a Social Democratic cabinet enjoying absolute majority in the Riksdag before succumbing to a heart attack on his way home from work late at night on 6 October 1946. Axel Alarik Pehrsson-Bramstorp was a Swedish politician and was Prime Minister of Sweden for a few months during 1936. As a parliamentarian he was known as Axel Pehrsson in Bramstorp, or just Bramstorp for short. In 1937 he officially added the name of his farm to his family name. Anna Gunilla Carlsson is a Swedish politician and a member of the Moderate Party. She served as Minister for International Development Cooperation from 2006 to 2013, member of the Swedish Riksdag from 2002 to 2013 and deputy chairman of her party from 2003 to 2015. Ulf Hjalmar Kristersson is a Swedish Moderate Party politician who has served as Leader of the Opposition and Leader of the Moderate Party since October 2017. He has been a Member of the Riksdag (MP) for Södermanland County since 2014 and previously from 1994 to 2000 for Stockholm County. He previously served as Minister for Social Security from 2010 to 2014 and Chairman of the Moderate Youth League from 1988 to 1992. Tobias Lennart Billström is a Swedish Moderate Party politician who has served as Leader of the Moderate Party in the Riksdag since October 2017. He has been a Member of the Riksdag for the Malmö Municipality since September 2002. He previously served as First Deputy Speaker of the Riksdag from 2014 to 2017, Minister for Migration and Asylum Policy from 2006 to 2014 and Minister for Employment from July 2010 to October 2010. After a period of rapid growth and unprecedented prosperity during the late 1980s, by 1990 the Swedish economy overheated, and after a controversial bill freezing salaries and banning strikes failed in the Riksdag, the social democrat government led by Prime Minister Ingvar Carlsson resigned in February 1990. At this time the respected Finance Minister Kjell-Olof Feldt left the government in protest over what he saw as irresponsible economic policies. Carlsson soon formed a new government, but by the time of the general election in September 1991 the economy was in free fall, and with rapidly rising unemployment, the social democrats received the smallest share of votes in sixty years (37.7%), resulting in the loss of office to the opposition, a centre-right coalition. Ewa Helena Björling is a Swedish politician and a member of the Moderate Party. She served as Minister for Trade from 2007 to 2014 and as Minister for Nordic Cooperation from 2010 to 2014 in the Swedish Government. She was a member of the Swedish Riksdag for Stockholm County from 2002 to 2014. Ann-Charlotte Hammar Johnsson, born in 1966, is a Swedish politician of the Moderate Party. She has been a member of the Riksdag since 2006, replacing Cristina Husmark Pehrsson due to Husmark Pehrsson's service as the Minister for Social Insurance. Karin Elisabeth Svantesson is a Swedish politician of the Moderate Party. She has served as spokesperson for the Moderate Party's economical policy since 2017 and as second deputy leader of her party since 2015. Kjell Stefan Löfven is a Swedish politician who has been Prime Minister of Sweden since 2014, with four months between September 2018 and January 2019 serving as a non-executive interim leader, and Leader of the Social Democratic Party since 2012. Morgan Johansson is a Swedish politician of the Social Democrats. He has served as Minister for Home Affairs since 2017 and as Minister for Justice since 2014. He served as Minister for Migration and Asylum Policy from 2014 to 2017. ↑ Christina Husmark Pehrsson (m) - Socialförsäkringsminister Archived 2007-03-11 at the Wayback Machine . (in Swedish), TV4, 6 October 2006.